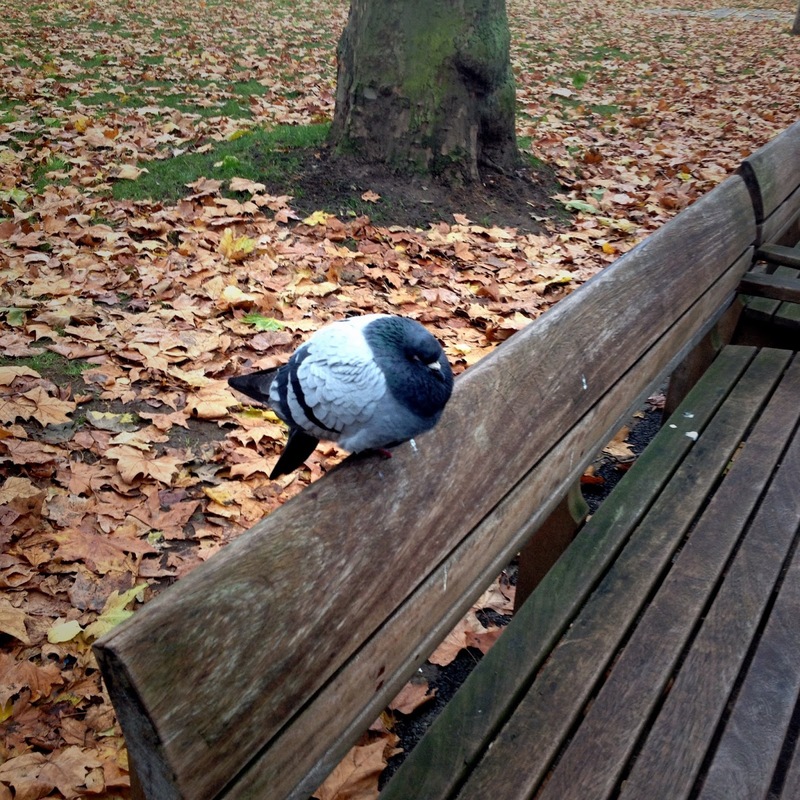 London's feral pigeons are much maligned, and I think it's a great shame. The word 'feral' doesn't help their image, I suppose, and neither did Woody Allen, who misguidedly (and damagingly) slandered them as 'flying rats'. I think feral pigeons are both beautiful and fascinating. They mate for life, and can breed up to six times a year; they feed their young on "milk" (a nutrient-rich substance the adults regurgitate for their young), are resistant to bird flu, and uniquely among birds, they can drink by sucking. Their flying skills are extraordinary; not just in terms of distance and navigational ability, but sheer agility. And they're clever; they can recognise individual humans and distinguish those who feed them from those who might mean them harm. Feral pigeons are really just a form of rock dove, the same birds that congregate on sea cliffs in huge numbers and live mostly without any kind of human support. Doves, too – our symbol of peace – are merely white pigeons, which through years of breeding by humans now come in an enormous variety of colours. We are lazily dismissive about those creatures we see most often – particularly those with whom we share characteristics. Adaptability, cleverness, bravery, catholic tastes: these things are celebrated in our fellow humans, but make us suspicious of animals like rats, cockroaches and pigeons. Yet it's those very skills that make them able to share city-space with us – space that, lest we forget, we've made uninhabitable for almost everything else. Still, why pay attention to something so common? Much of the birding community can hardly bear to give feral pigeons even a passing glance. Perhaps we shouldn't be so complacent, though. The passenger pigeon, our city birds' close relative, was once the most abundant avian species in the whole of America – perhaps the world – with flocks that took up to 14 hours to pass overhead. Yet this year, 2014, marks the centenary of their total extinction. How wonderful it would be to see even one passenger pigeon now.